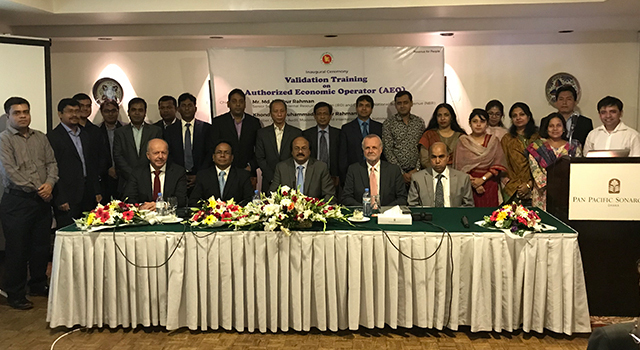 Bangladesh's National Board of Revenue (NBR) organized the Authorized Economic Operator (AEO) Validation Training on 21-23 November 2017 in Dhaka, Bangladesh, in preparation for AEO implementation in the country. 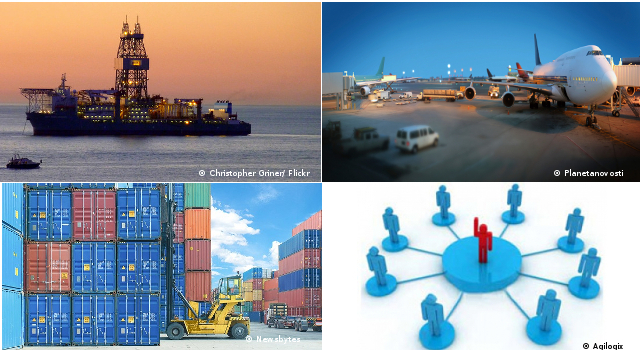 Determined the next steps for the planned pilot run. Mr. Md. Nojibur Rahman, Senior Secretary, Internal Resources Division and Chairman, National Board of Revenue, was the Chief Guest. 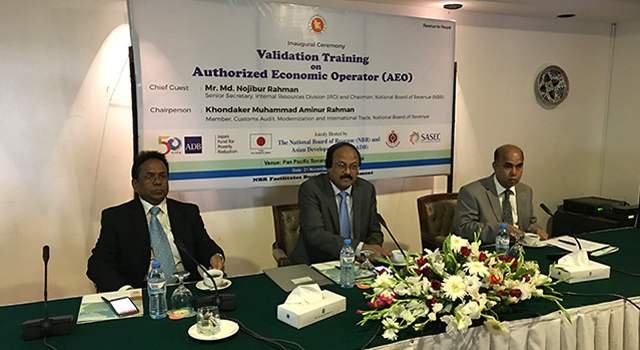 In his address, he emphasized that NBR will extend necessary support for AEO implementation in Bangladesh, including starting an AEO pilot within 2017. Mr. Firoz Ahmed, Portfolio Management Specialist, ADB Bangladesh Resident Mission, delivered opening remarks. 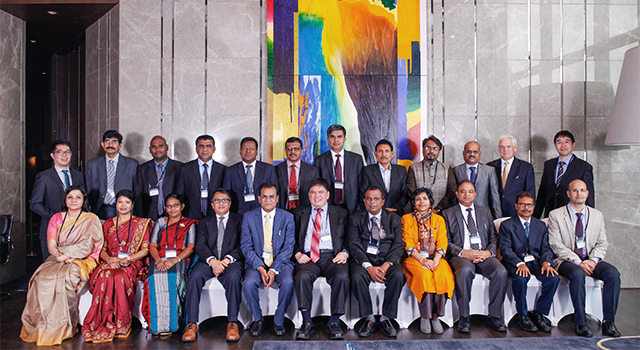 He highlighted ADB's role in ongoing initiatives for Bangladesh, and emphasized ADB’s continued support in Customs reform in the country. 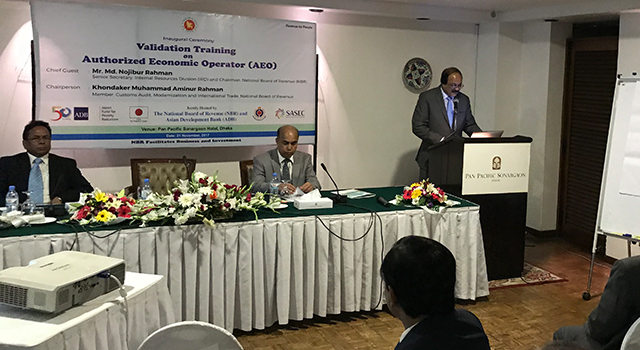 The Workshop was attended by 30 participants, including the AEO team and NBR staff. 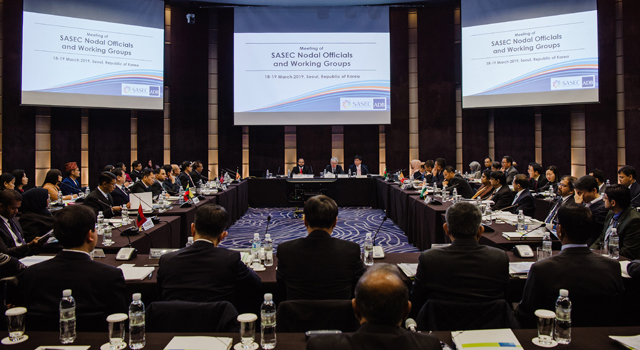 ADB-administered technical assistance from the Japan Fund for Poverty Reduction funded this Meeting.